News - S&E Enterprise Sdn Bhd. Great deals, business prospects & networking opportunities! Be spoilt for choices with an incredible range of products from over 500 exhibitors that promise to meet your needs. Situated in the heart of the worlds' fastest-growing region, it is the place to be every March. The MIFF Best Presentation Award recognizes the power of crowd-pull. Winners are judged on booth design, creativity, construction and product presentation. The award aims to encourage exhibitors to think out-of-the-box and employ creative strategies to stand out from the rest. Seow Buck Sen Furniture (M) Sdn Bhd had won the first prize for Shell Scheme Booth category. Being the No. 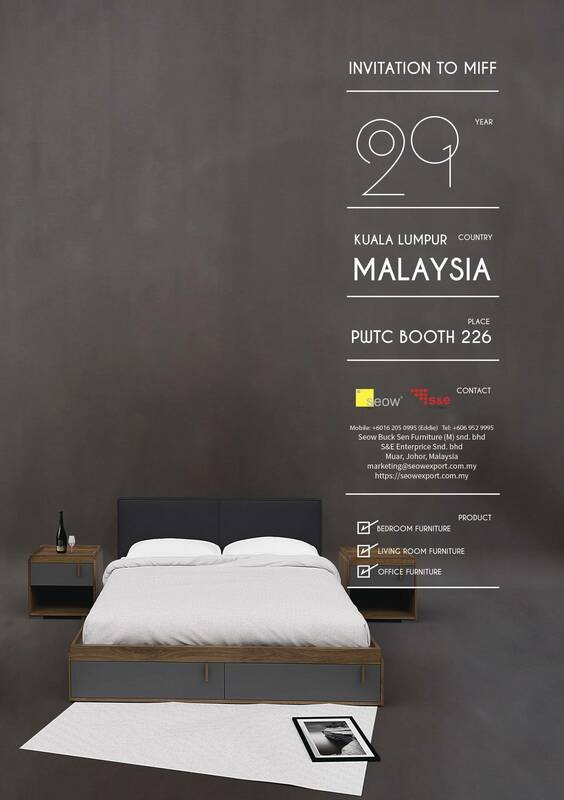 1 furniture fair in Southeast Asia, and consistently ranked amongst the top 10 worldwide, the Malaysian International Furniture Fair (MIFF) has spearheaded the furniture trade scene for years. Every March, quality exhibitors and buyers from all over the world converge on this global stage. Since its inception in 1995, MIFF has created fantastic business and networking opportunities for hundreds of thousands of participants.